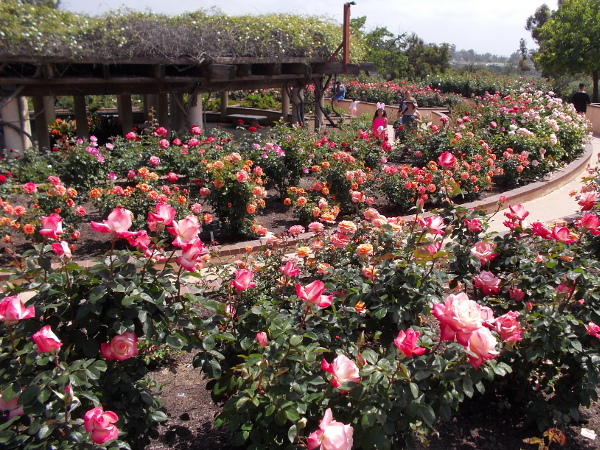 A world-class rose garden in full spring bloom. 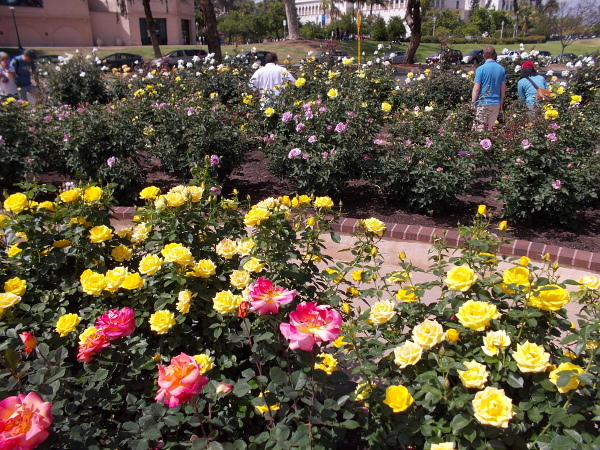 – Beautiful Balboa Park! 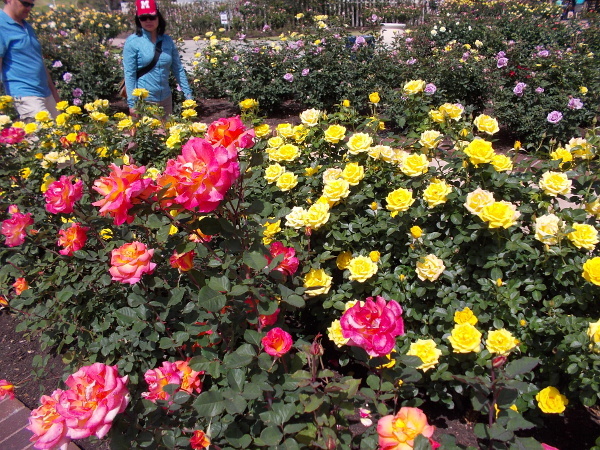 A world-class rose garden in full spring bloom. 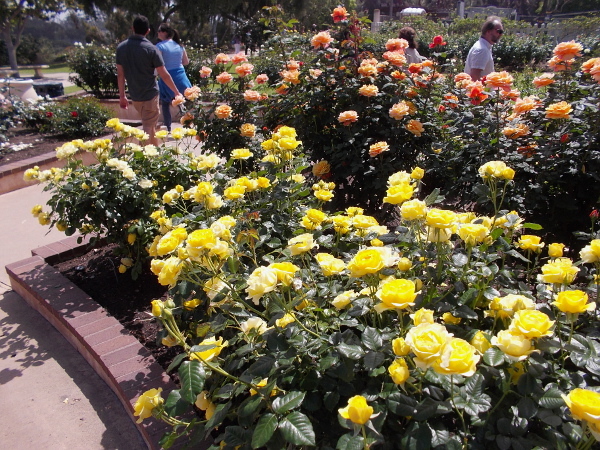 The world-class Inez Grant Parker Memorial Rose Garden in Balboa Park was in full bloom on Easter Sunday. Today I visited a very special place. 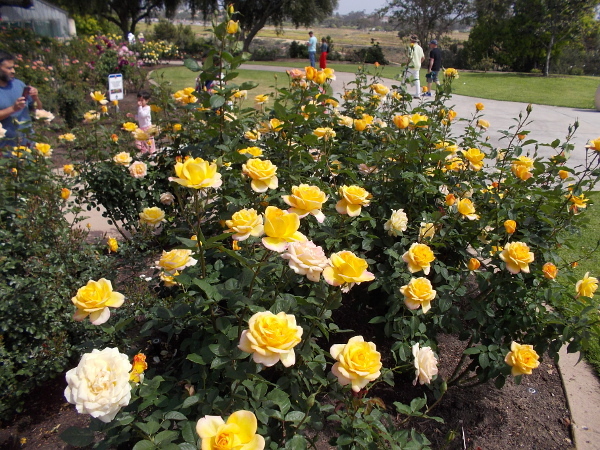 I took a slow stroll through the amazingly beautiful Inez Grant Parker Memorial Rose Garden in Balboa Park. It also happens to be Easter Sunday. Many people were enjoying the vibrant colors. 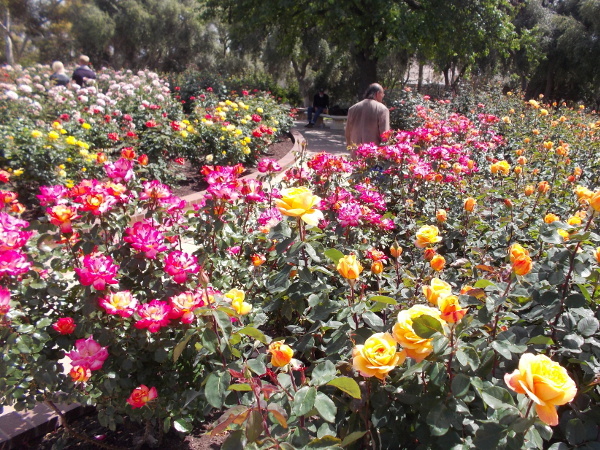 The rose garden is in gorgeous, full spring bloom. 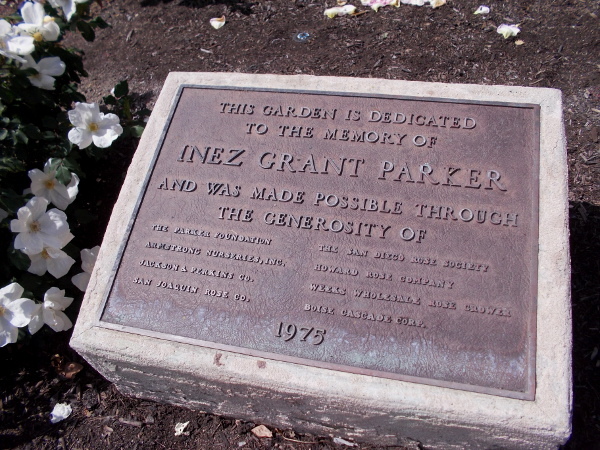 The Inez Grant Parker Memorial Rose Garden is truly world-class. It has won so many prestigious awards, signs and plaques appear all over the garden singing its praises. Just walking about randomly, I noticed this garden has been inducted into the Great Rosarians of the World’s Rose Garden Hall of Fame, has earned the Public Rose Garden Award from All-America Rose Selections, has gained an Award of Garden Excellence from the World Federation of Rose Societies, and goodness knows what else! 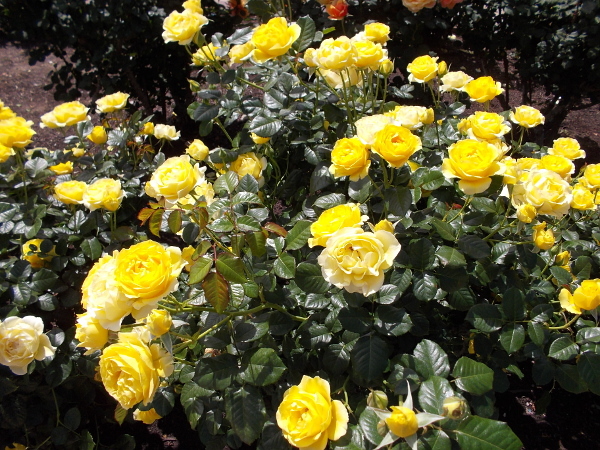 And here I am, someone who knows next to nothing about roses. I suppose I should have recorded the many varieties that I photographed–but it was too warm and perfect outside, and I simply didn’t feel that motivated. The beauty was enough. And believe me, there was an abundance of beauty! 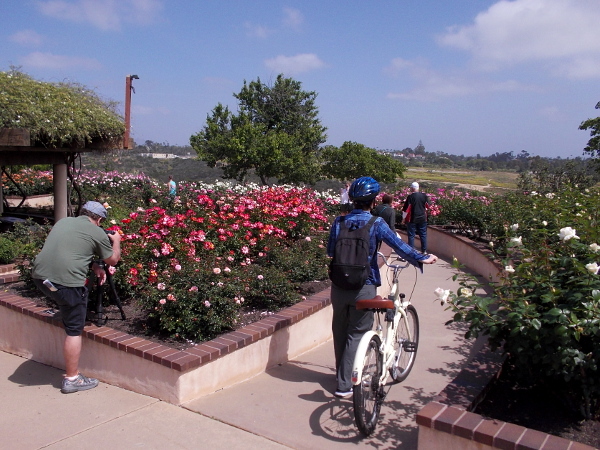 Visitors to beautiful Balboa Park in San Diego enter the large, amazing rose garden just east of Park Boulevard. 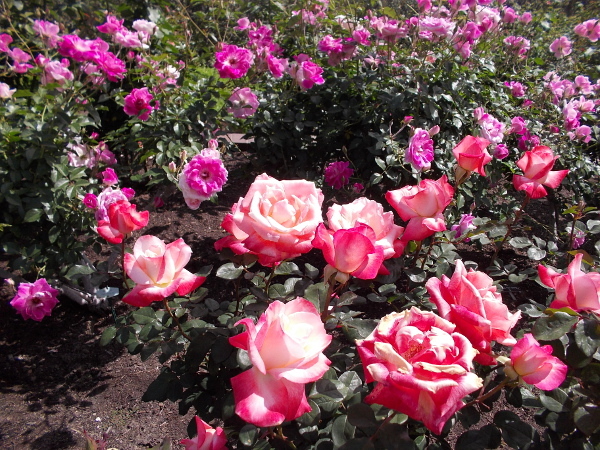 During the spring, the roses are in full bloom. Brilliant colors can be seen everywhere one turns. 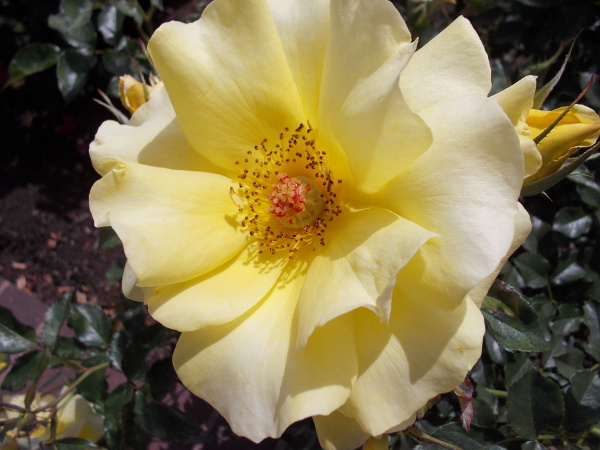 Someone is wearing Easter Bunny ears in the rose garden! A perfect, special day in the sunshine. My camera seemed quite attracted to yellow blooms. They are like sunshine, grown from the rich Earth. 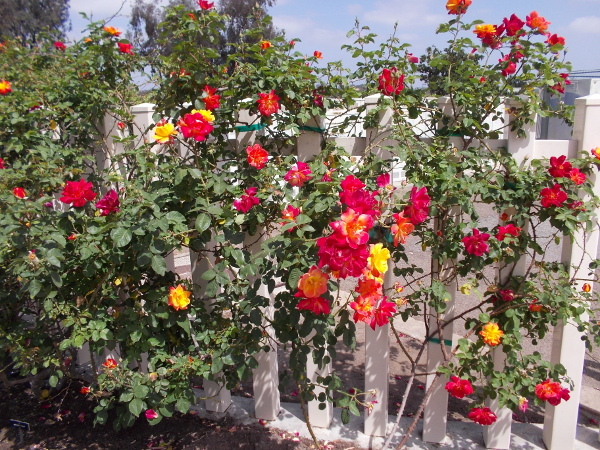 Even the white fence around the Inez Grant Parker Memorial Rose Garden’s small maintenance area is bedecked with glorious color. 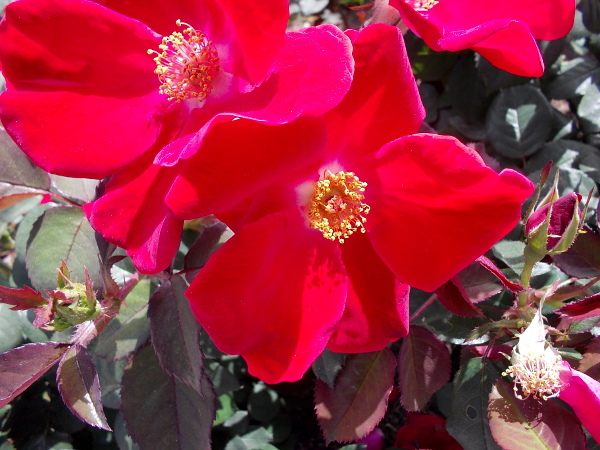 A bright red rose. Many buds have yet to open on this late March day. 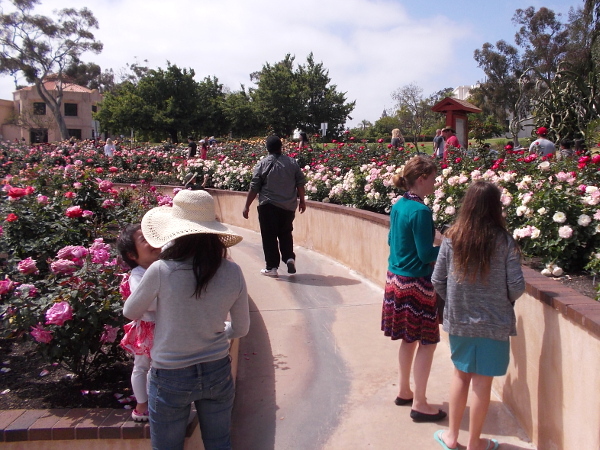 People stroll slowly among the beautiful rose displays. Many take photographs. Young and old are touched. 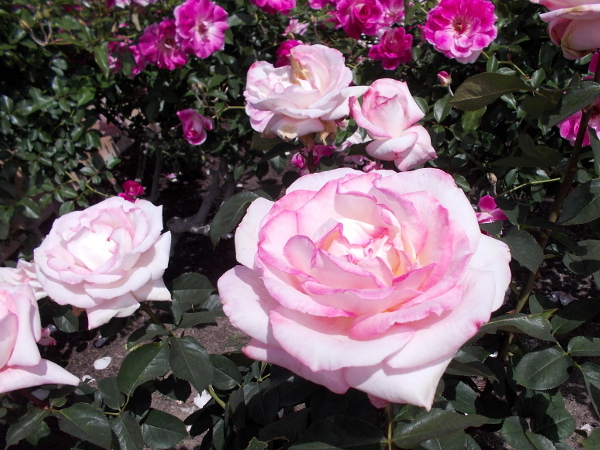 Many bend down to smell the sweet scent. 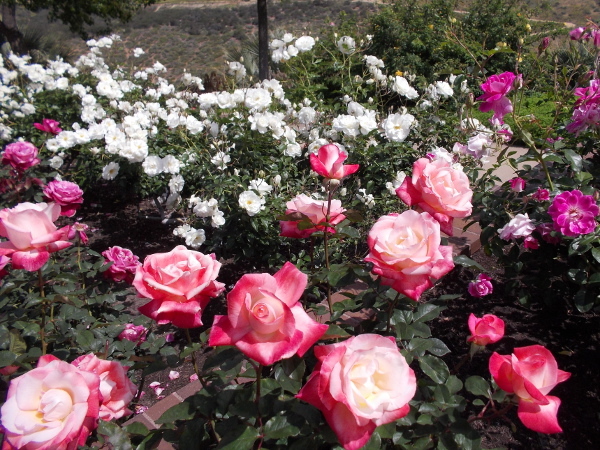 Many varieties of rose can be spotted in this truly fantastic, multiple award-winning garden. 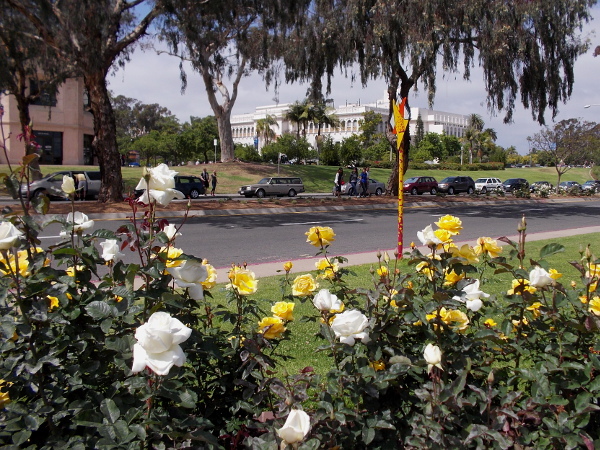 Photo across Park Boulevard toward the Natural History Museum, one of many attractions in Balboa Park. A sea of brilliant color. A walk in this garden is like moving through a beautiful dream. 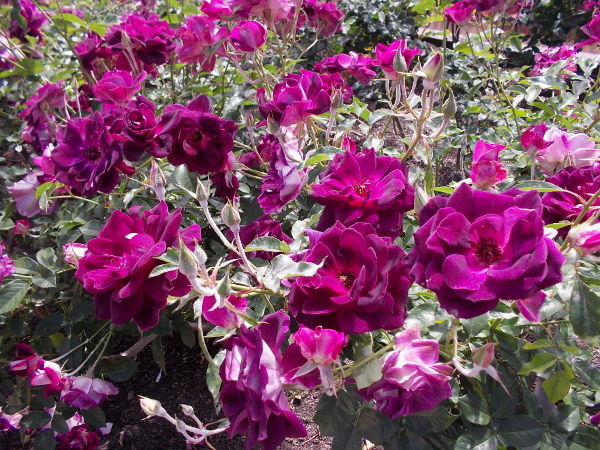 These deep purple roses really caught my eye. They appear to be made of velvet. 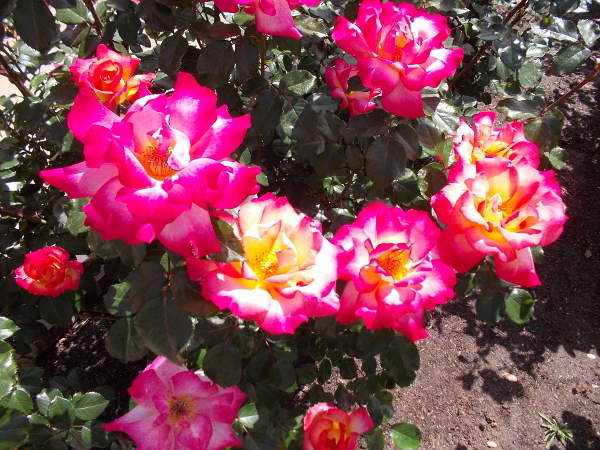 Cheerful blooms smile up at those who pass by. 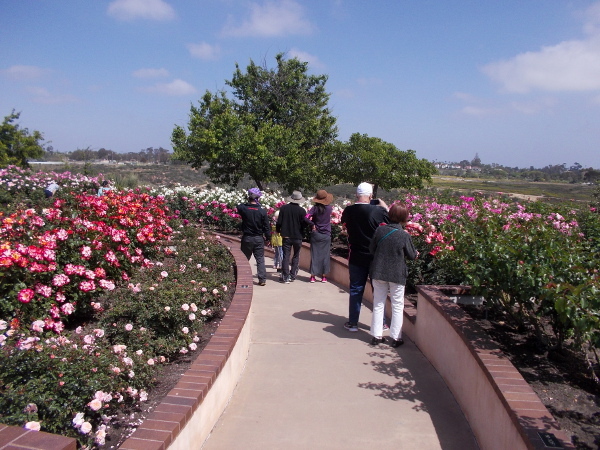 Many paths among the roses invite a casual stroll. Benches allow for relaxation and meditation. Yellow, pinks, reds, oranges, whites. Every color of the rainbow, it seems, has sprouted in this one special place like sudden magic. One cheerfully blooming sun in a whole universe of bright colors. 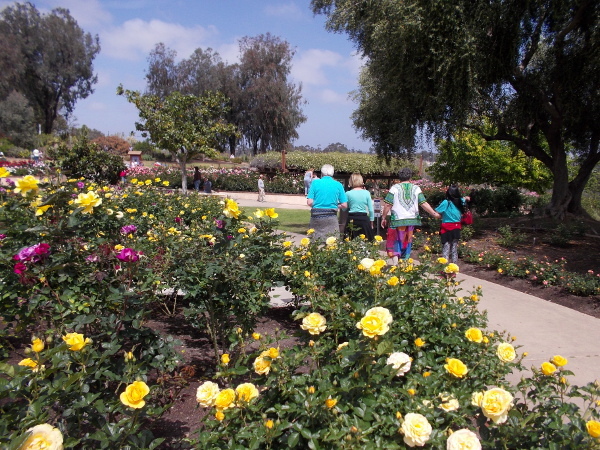 A stroll through this amazing garden brings one closer to deeper, more important things in life. 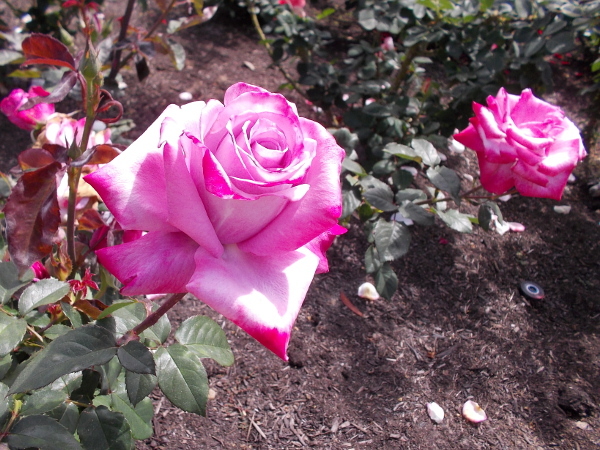 Everyone loves roses. Photographers and bicyclists, alike! 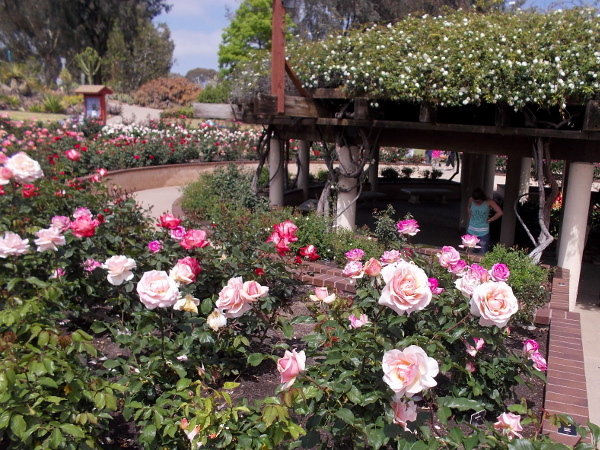 Come to this amazing Balboa Park rose garden during the blooming season and it will take your breath away. 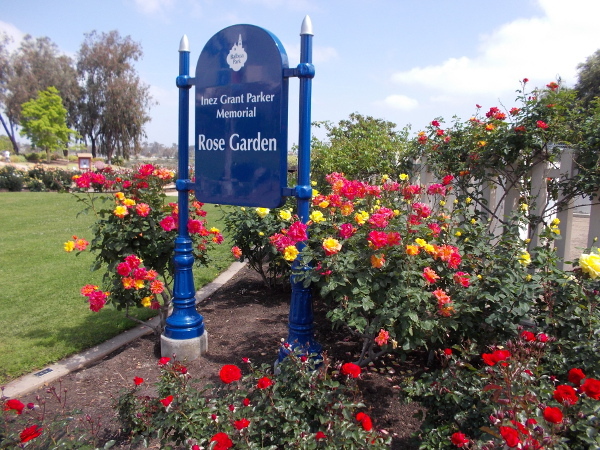 The Inez Grant Parker Memorial Rose Garden overlooks Balboa Park’s less-developed Florida Canyon area. Blue sky and a few clouds today. 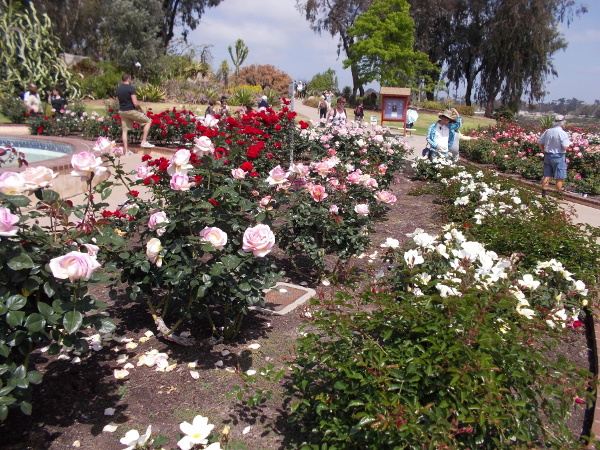 A world-class rose garden, free to the public in Balboa Park. 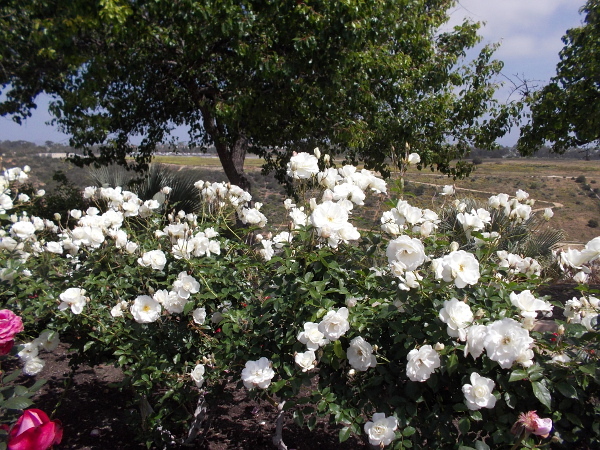 A flurry of white roses, like snow on a spring day. 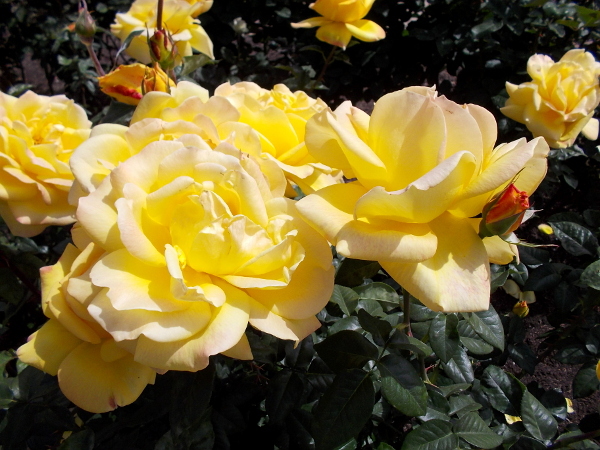 Roses enough to fill the spirit to overflowing. This one is for you, my reader. Thank you! do you mind if I reblog this to 307? When we were little, my mom use to love driving through the park at Christmas. She loved the Christmas lights. They still do December Nights every year. The lights are magical! Previous Previous post: Free exhibit of contemporary Chinese art in Balboa Park. Next Next post: Late afternoon light brightens the Alcazar Garden.